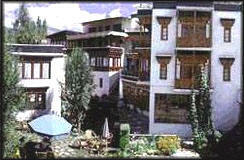 Hotel Dargan, Hotel Dargan Ladakh, Hotel Dargan Leh, Dargan Hotel Reservation. Hotel Dragon extends a warm and hearty welcome to their friends from across the miles. With more than 20 years of experience, they offer exceptional servicre for the value of your money. They have 32 rooms done up in modern and traditional Ladakhi themes -- with superb view and luxurious furnishings. 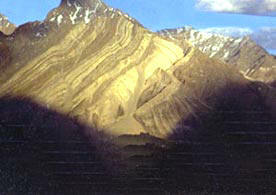 The restaurant serves Ladakhi, Tibetan, Indian, Chinese and Continenetal cuisine. Rooms have attached bath,running hot & cold water. Telephone, fax facilities and postal service. Musical concert and cultural show on demand. Bonfire evening in the garden.